Everyone possesses things about themselves that they could improve upon, but today, we want to focus on all the wonderful qualities humans have. Specifically, we will talk about how your zodiac sign relates to your best traits, and hopefully, this will give you a boost in confidence or maybe even some bragging rights if you have a conversation with someone about the best zodiac signs. 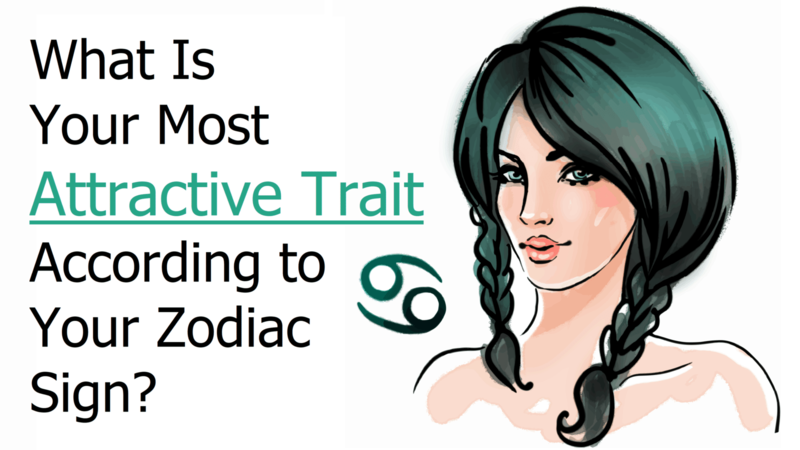 Without further ado, here are the most attractive traits of each sign. Aries, you stop at nothing to get what you want, and you have no fear about what it takes to reach your goals. You have drive, ambition, inner strength, confidence, and the charisma to get things done! You also have a great sense of adventure and spontaneity that make people flock to you. Taurus, you might be a bull, but you have the work ethic of a horse. You don’t stop when you’re tired; you stop when you’re done, which allows you to persevere in hard times. You don’t shy away from difficult or tedious jobs, and people can always count on you to do something right the first time. In addition to your strong work ethic, you enjoy the finer things in life, and know how to treat a man or woman on a date. You work so hard that you feel you deserve treating yourself, and others, to life’s many luxuries. Gemini, you have the type of charisma that draws people to you like a moth to a flame. You are open-minded, curious, passionate, friendly, and outgoing. People love you for your endless conversational ability and fun, optimistic personality. You never have a problem making friends, because you provide entertainment and laughs to anyone who has the privilege of being in your company. Cancer, you might hate feeling everything so deeply, but this is your secret weapon and your greatest strength. You have the ability to listen to people’s deepest troubles and give them a shoulder to cry on when they need it most. You’re a loyal, dependable friend in people’s darkest hours, and you give them comfort and compassion. The world needs more people like you, dear friends. Leo, you light up the room when you step foot in it, because your smile and outgoing personality put you in the spotlight instantly. People gravitate toward you because of your big personality, and they stay because of your generosity. You’re kind-hearted, sincere, and funny, and you bring people together with your great leadership abilities. Virgo, you are the zodiac’s problem-solver, able to think clearly even in the midst of chaos. You don’t let your emotions get the best of you, always thinking logically and analytically. You give great advice to others because of your voice of reason, and your intellect and organization skills will take you far in life. Libras hate being alone, which makes them great relationship partners. They are giving, loving, and charming people that avoid conflict at any cost. Libra, you are also the humanitarian of the zodiac, which means your big heart can help make lasting changes in this world. You stand up for injustice when you see it, and strive for balance at all times in both your personal life and surrounding environment. Scorpio, you are the mystery of the zodiac. You are actually very passionate and headstrong, but you don’t let people see that side of you until you trust them completely. You have an intense personality that carries over into all facets of your life (including the bedroom)! People might say you’re aloof and withdrawn, but they just don’t know you well enough yet. You are courageous, strong, creative, and make an excellent lover to whomever you choose. Sagittarius, your humor, adventurous streak, and free-spirited personality make life fun for both you and anyone who crosses your path. You don’t like taking things too seriously, and don’t like being tied down. You’re always on the move, preferring to stay active and see new things rather than sit on the sidelines waiting for life to happen. People can always count on you to make them laugh and see the bright side of things! Capricorn, you work just as hard as Taurus, and are headstrong like the bull too. You’re reliable and trustworthy, and make an excellent leader in whatever field you work in. You’re responsible, successful, intelligent, and put your family and friends first. You don’t like letting people down, and work hard to keep your promises. People like you because they can count on you, especially in times of crisis. Aquarius, you’re also a mystery in the zodiac, with your nonchalant, dreamy personality. You are a conversationalist, yet you spend a lot of your time daydreaming. You’re both in this world and out of it, enjoying talking to others and travel and philosophy, and planning your next adventure when you get some alone time. You’re creative, quirky, and carefree, not caring much for guidelines or strict rules. You live life on your own terms, and don’t accept limits on anything you do. You’re independent as well, marching to the beat of your own drum. Pisces, you’re creative, sensitive, and gentle, spending a lot of time in your own head dreaming of far away lands and other worlds. Your empathy and caring nature allow you to connect with others seamlessly, and people can count on you to listen and give advice when they need it.